Mark Wallace, blogging over at 3pointD.com (highly recommended), yesterday had some interesting news and ideas about developing Virtual Worlds (VW) standards. Perhaps through standards an avatar could be portable across worlds, he wonders. It seems to me that this question arises mostly for the certain class of virtual worlds where users play just one contiguous 3D avatar at a time and use (or pretend to use?) that avatar to interact with and view the virtual world (think Second Life and World of Warcraft *). 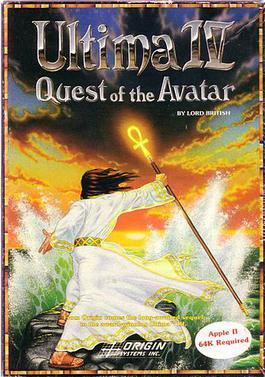 In these types of worlds, the avatar is not just the 3D representation of a user, but typically it also represents, at least ostensibly, that user’s view point in the world and his or her actionable area. When we see this type of avatar moving about, we expect that we are aware of some significant portion of its operator’s attention and action, their presence, and thusly we expect we are sharing experiences and can have highly focused human-type interactions with other users in a VW. While there’s utility and virtue (!) to representing presence in virtual worlds with a 3D character, presence just isn’t the same as 3D bodies. In real life (at least until augmented reality takes over) if you’re there in front of me, I can pretty easily gauge your attention. I innately understand the biology going on there. But with the avatar– while it attempts to represent the same thing — it can be completely disconnected from and deceptive of any presence. Consider Second Life, where the “avatar presence” convention is already being stretched significantly: the user’s camera view (and ears!) can fly around pretty much independently of the avatar. Furthermore, Second Life‘s open client architecture is going to enable the development ever more omniscient views for the user. For example, right now I have five tabs open in my web browser. Why not five simultaneous view ports into one or more virtual worlds? So, what I keep wondering: Is the avatar concept still useful when we are more frequently using computer scripts and advanced controls to affect changes and talk to people in the virtual worlds in multiple “distant” places at once, on a completely inhuman scale? Or do we need something more like … ghosts? If we attempted to standardize the avatars today, would they just be like any user-controlled 3D object inserted into (or borrowed from) a target VW, or mustn’t we agree on some standardized protocols for indicating action and presence before we really get the heart of what an avatar is? Would the avatar’s presence, if we could represent it, somehow relate to its user’s open viewports, or is this, too, an oversimplification of presence? As users become more adept at manipulating and reading 3D environments, encouraged and enabled by more advanced controllers and 3D browsers, will we find that today’s typical single-location 3D avatar is not, after all, the most useful construct for representing our attention and actions to others in virtual worlds? My vote would be that we hold off on trying to standardize the avatar and let innovation take its course for a while. * BTW, even though I mentioned it, I’ve still never played World of Warcraft — because I hear it can kill you. Updated June 18: Another rewrite for clarity. One day I’ll get a blog post right the first time. Or not.. This entry was posted on June 15, 2007 at 10:39 am and is filed under Metaverse. You can follow any responses to this entry through the RSS 2.0 feed. You can leave a response, or trackback from your own site.